The speakers’ list has been released for the third annual Liberty Now event in Toronto, November 1, 2014, which includes speakers from the Canadian Constitution Foundation and the Canadian Taxpayers Federation. Adult tickets are available online for $30, $20 for students and $40 at the door. Freedom Party of Ontario leaders Paul McKeever was on Sun News Network on May 29, 2014 to outline his party’s balanced budget plan for Ontario. The guest host was understandably interested in how the Freedom Party of Ontario would purport to do this, since Ontario’s deficit currently sits at $12 billion. Their solution? McKeever explains at 2:30, that they would take health care off-budget by making it a Crown Corporation, and introduce competition. I like the second part, but the first part comes across as a total gimmick. It’s reminiscent of PC Leader Tim Hudak’s 2011 election campaign gimmick of promising to pay off Ontario’s hydro debt by only paying the principal, and not the interest. Wouldn’t that be nice for average homeowners, to tell their bank that they’ve paid off their mortgage after paying back only the principal? You’d be laughed out of the bank, and after two missed payments, they’d foreclose on your home. Yet gimmicks like this pass as legitimate discourse in politics today. Canada has held its sixth place ranking out of 178 ranked countries in the conservative Heritage Foundation’s 2014 Index of Economic Freedom, with an overall score of 80.2 in the free category, with the U.S. dropping to 12th place, with an overall score of 75.5 in the mostly free category. 1) Will the United States fall off the top 10 list of most economically free countries, according to the Heritage Foundation? 4) Still think Canada is more socialist than the United States? — The joke’s on you? There you have it, folks — as long as he says he has it on the authority of “trusted sources”, it’s worth mentioning on his show, and you should take it as a distinct possibility. Given these extraordinary claims, where is the corresponding extraordinary evidence? Not that they won’t eventually set off a dirty bomb or nuke somewhere, but why can’t we hear from these sources? Hype, fear and unnamed sources is what we’re accustomed to hearing from the mass media, so how is Rense offering an alternative? Regrettably, this is all too common in today’s “alternative” media. 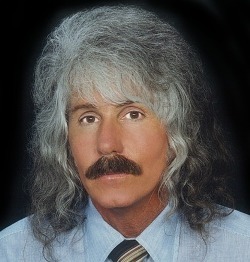 For more on Jeff Rense, see my article, Jeff Rense falls into the Money Power’s trap by attacking Bernanke’s statements about a gold standard. 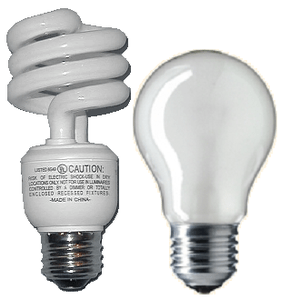 The United States federal government is set to ban the sale of 100-watt incandescent light bulbs by January 1, 2012, while the Canadian federal government has delayed its ban until 2014. The irony is that the government with no such authority is set to implement a ban before the government that does have such authority. 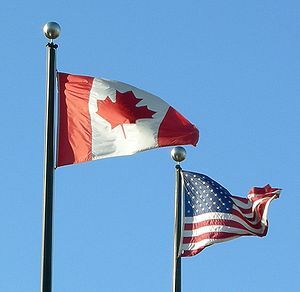 Another irony is that the U.S. federal government was founded as a limited government with “few and defined” powers, while the Canadian federal government was founded with many and expansive powers. The implementation delay provides a great opportunity for a leader to step forward to rally Canadians to retain their own decision-making power of how to light their homes, as Howard Brandston discussed on his illuminating appearance on The Sunday Edition on October 2, 2011. Former B.C. Premier Bill vander Zalm provided decisive leadership in rallying B.C. voters to overwhelmingly reject the imposition of the so-called Harmonized Sales Tax in their province, and Sharon Noble of the Coalition to Stop Smart Meters is leading the effort for British Columbians to retain their choice of hydro meters, which Ontarians have lost, and are paying dearly for it, with a price increase shortly after the October 2011 election. What mass media commentators won’t tell you — but I will — is that these government-enforced incandescent light bulb bans are part of a global plan to implement Agenda 21. Agenda 21 is the plan for the 21st century of wealth redistribution “within nations and among nations,” as expressed in the Earth Charter, and not about saving the planet from alleged man-made global warming, as veteran Canadian climatologist, Dr. Tim Ball, points out is unproven. The EU is the world’s largest trading bloc from 2009 to 2014, right? Non, senor! According to the IMF’s World Economic Outlook Database, October 2009, NAFTA (United States., Canada, Mexico) regained the distinction of being the largest trading bloc in the world for 2009 by nominal and PPP GDP, and is projected to stay that way until at least 2014. This, despite the EU having a larger estimated population in July 2009 of 491,582,852 with the NAFTA-member countries at a population of 451,911,120. Michael Moore keeps most of his $50 million in savings accounts and bonds? Several sources, including this one, indicate that Michael Moore has a net worth of over $50 million. Savings accounts and savings bonds are currently only insured up to “$250,000 per deposit, per insured bank,” up until December 31, 2013, at which point it will decrease to $100,000. Either Michael Moore is foolish, has additional private insurance, or has most of his money distributed over 200+ banks. If it’s the latter, then by January 1, 2014, he’ll have to distribute his money over 500+ banks. If he’s foolish, then he can kiss most of his money goodbye if there is a repeat of the 5000+ bank failures from 1929-1932.